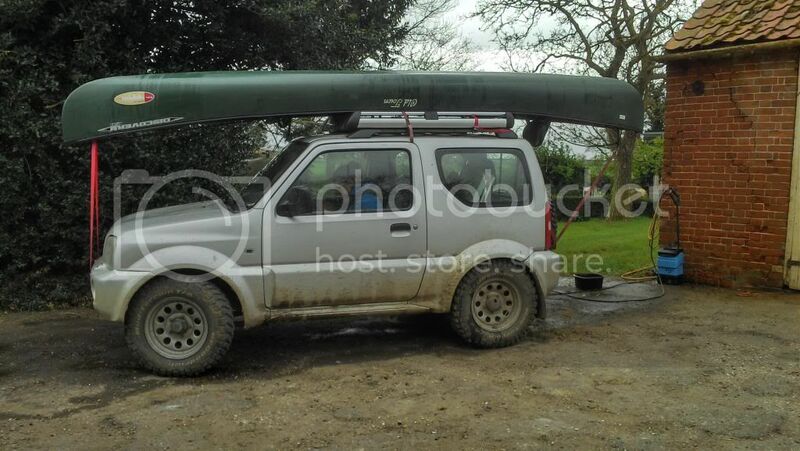 Has anyone had a canoe on the Jimny Bits rack. Have a 16ft open canoe which I think should be on a rack mounted direct to the roof for security rather than on the week roof rails. The quality of the Jimny bits rack looks excellent . Only concern is that the height of the rack might affect stability adversely although I realise stability will be affected in some way. Find a fabricators nearby and have a custom rack made. It'd probably be cheaper and get the canoe nearer the roof? Keithy wrote: Find a fabricators nearby and have a custom rack made. Yes thought of this it is an option but I do like the look of the Jimny bits rack. Anyone had one of these Raptor roof rack? 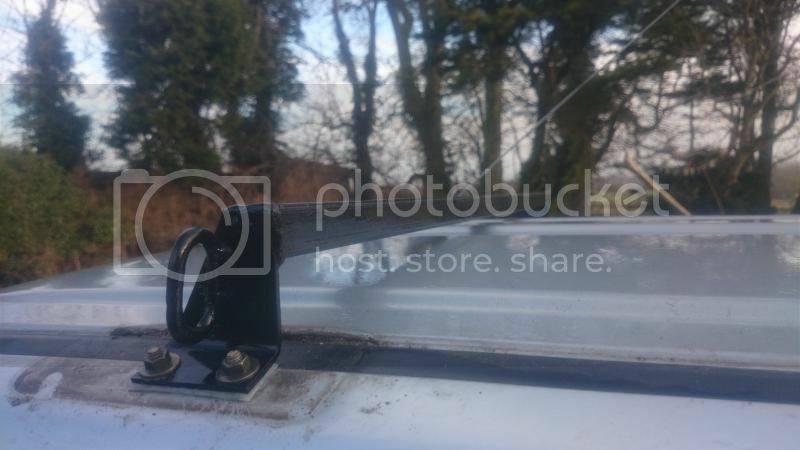 I can't help with the Jimny Bits rack, but I carry a 16ft canoe on my Jimny on home made stainless steel roof bars that mount direct to the roof bolts. I run an extra strap from the front of the canoe down to the tie down points under the front bumper and it sits very securely. I can still happily cruise at 70mph without any drama. Before I made my own bars I had this cheap ebay roof tray which wasn't as secure but still did the job. Last edit: 10 Sep 2018 21:52 by Busta. 2" lift, 215/75 r15 Dynapro MTs, steering damper, snorkel and slightly mad owner! Last edit: 10 Sep 2018 23:23 by Eskimo. Busta wrote: I can't help with the Jimny Bits rack, but I carry a 16ft canoe on my Jimny on home made stainless steel roof bars that mount direct to the roof bolts. I run an extra strap from the front of the canoe down to the tie down points under the front bumper and it sits very securely. I can still happily cruise at 70mph without any drama. I notice you had strap running though doors around tray rack. Was that for additional fixing.? Any pics of your stainless bars and fixing. That might be our best option. No that's just the loose end of the strap. Shutting it in the door stops it flapping in the wind. These are the first bars I made up. My current ones are much the same, but shinier. Very simple and strong. Last edit: 11 Sep 2018 08:07 by Busta. They look ideal. Is there enough height on them so curvature of canoe bow doesn't interfere with windscreen view? Well you can certainly see it through the windscreen, but it doesn't hinder my view of the road any more than it does with any other car. My friend carries his on a Volvo V70 and I'd say his view is worse.